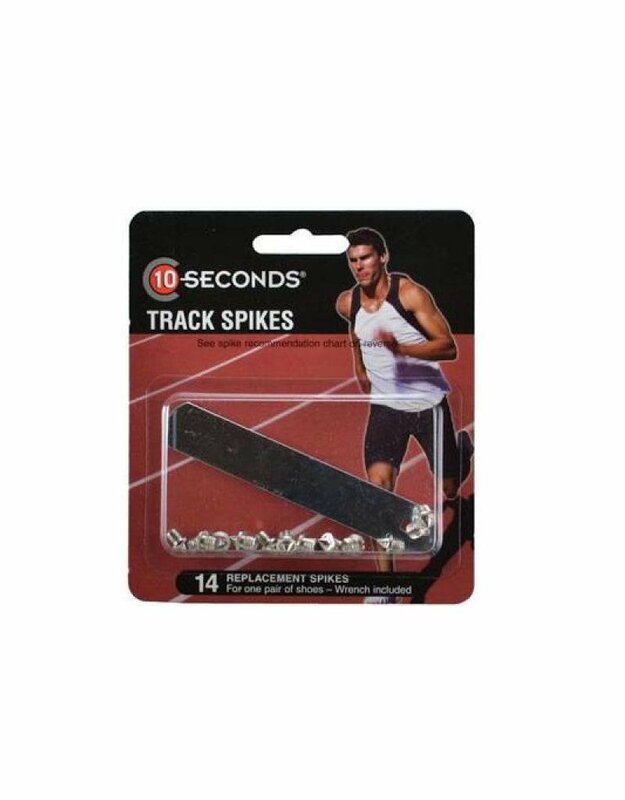 10 SECONDS® TRACK SPIKES 1/8" PYRAMID (3mm) 14 pack :: Dig in, getting ferocious traction and durability from these awesome 10 Seconds® Track Spikes. You'll appreciate the unbeatable long-lasting wear of these spikes that are heat tested for maximum durability. 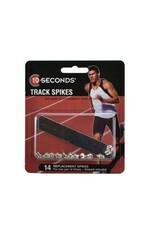 Plus, you're sure to get maximum traction no matter where your training takes you because these 10 Seconds® Spikes can be used on all surfaces, including asphalt, synthetic and natural.